Hunters and outdoor lovers find themselves carrying all kinds of gear. Now, whether it’s necessary or not is beside the point, but it’s nice to have a place to put it. 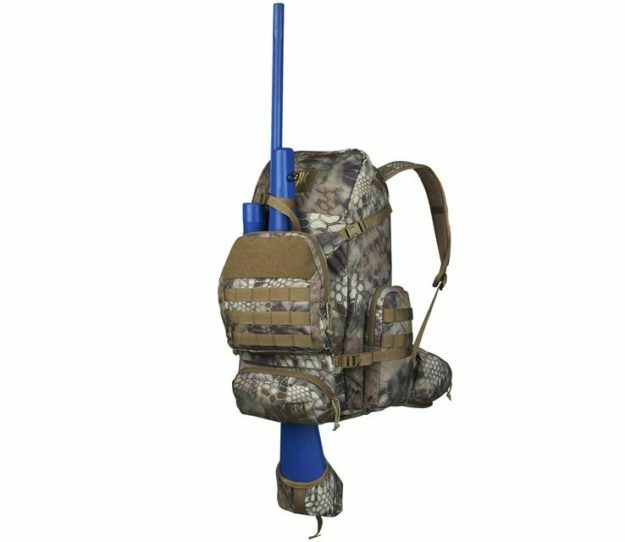 A quality day pack like the Slumberjack Hone Day Pack is a great tool for carrying your hunting gear on a bow hunt, shed hunting in the mountains, or just having some storage for an all day hike. You can ever fit a quarter of an animal in this thing! The Slumberjack Hone Day Pack review shows all the features and options this back pack can give to you. 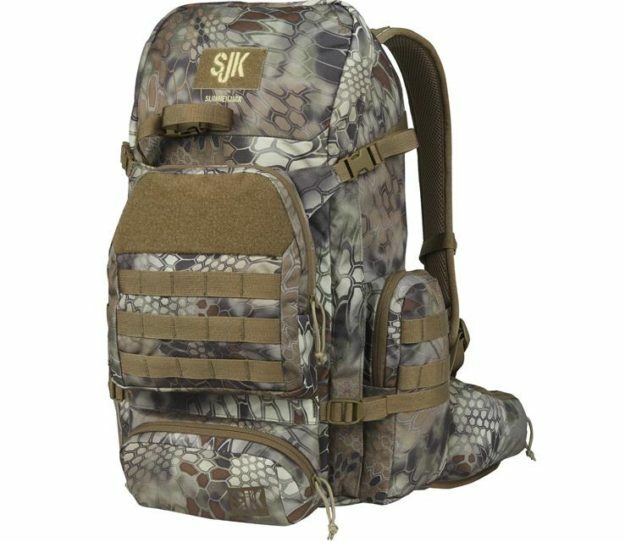 Being able to carry a rifle, bow, water system or strap shed antlers to the back make this pack a great choice for any outdoorsman. At 2,088 cubic inches and only 3 pounds, 4 ounces, the Hone pack offers plenty of space to the weight ratio. It is 21.5 inches high, 15 inches wide and 11 inches deep. For me, this is my go to pack for bow hunting and rifle hunting as it allows me to strap a bow or gun to the back and carry all my calls, knives and ammo in the pack. I even can throw some extra layers and lunch in there too! This sleek pack features a single aluminum frame that makes carrying a heavy load a breeze. There are two zippered hip belt pockets that are really useful for a knife or ammo. If you are rifle hunting, you’ll find that the built in rifle rest is a big bonus and will help you get that perfect shot. We found the Hone to be really comfortable and stable, even with a quartered animal in it. It tightens and fits easily and doesnt sag or sway when on your back. It is hydration compatible as well, so you can throw in your water pouch without any issues. Shed hunting in the mountains can require a lot of water, food and hopefully, antlers being carried out. This pack makes it really convenient to strap sheds to and carry the rest of your essentials. At the inexpensive price of $159.99, it’s also a great deal. You can purchase your own Slumberjack Hone day pack on their website for $159.99. It is available in the Kryptek camo which looks good in just about any situations. Check out more Hunting Gear Reviews on MorningMoss.